This Chocolate Avocado Torte are what dessert dreams are made of. 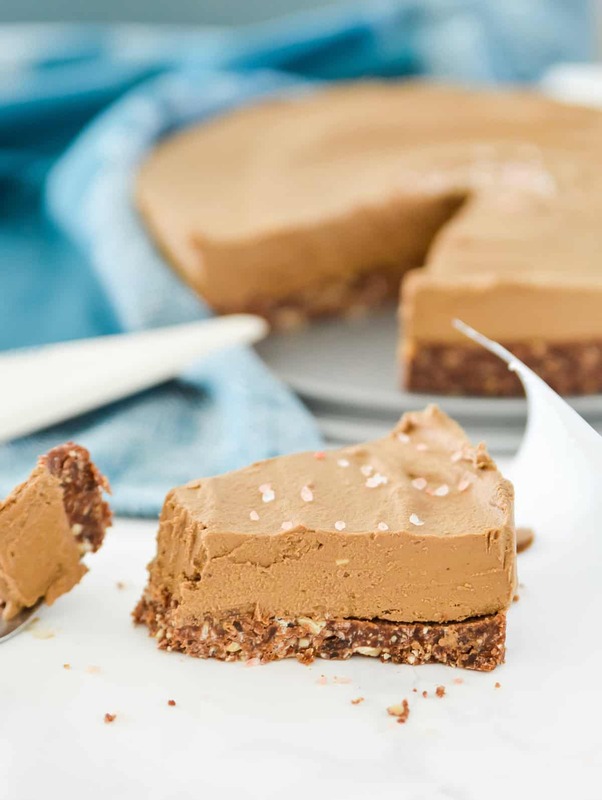 This vegan avocado torte is the perfect combination of a slightly sweet crunchy crust with a melt in your mouth chocolate mousse topping. 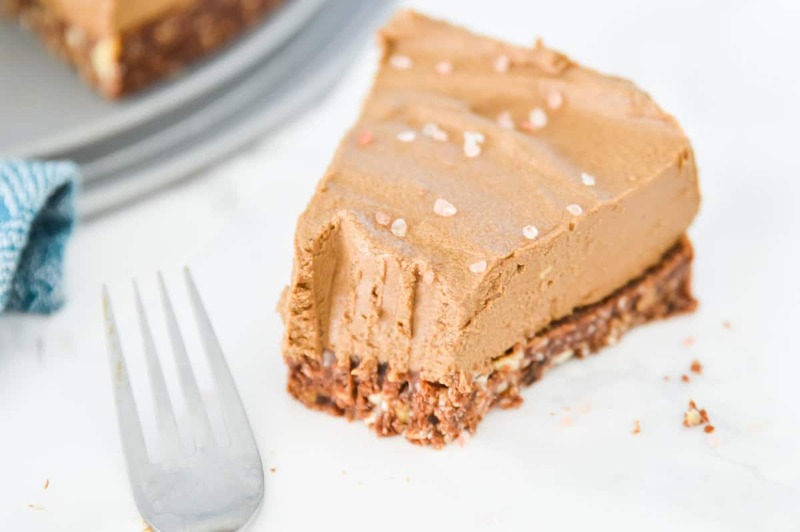 Serve this paleo chocolate torte at your next dinner gathering and your guests will love you. I am so excited for this week’s recipe! 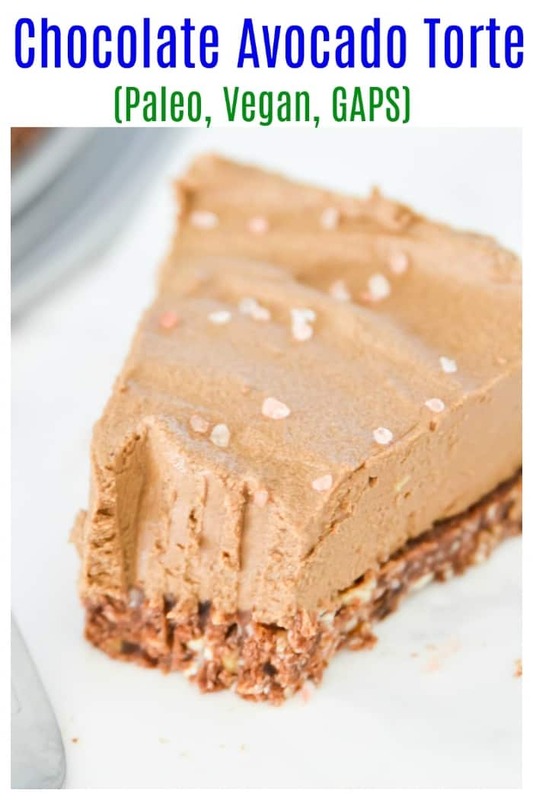 A Chocolate Avocado Torte. My mouth is watering just thinking about this cake. I pretty much ate the entire cake to myself the first time I made this recipe. Ok not the whole cake. I let Erik have at least one piece (I know I’m such a good girlfriend right?). 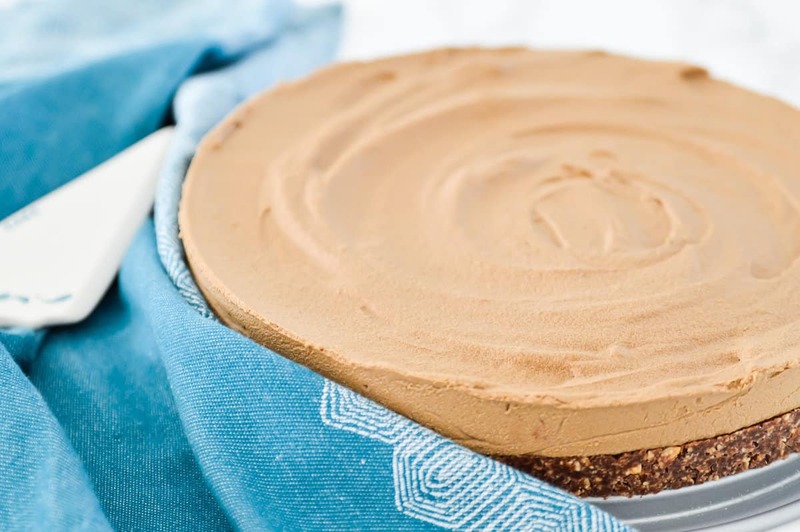 This cake is made fudgey and delicious by the addition of avocados – and before you say “yuck” I assure you that you cannot taste the avocados. All you taste is choclately, fudgey deliciousness. And yes I just made up at least 2 words in that sentence to describe how good this cake it. It’s so good that it needs its own language. 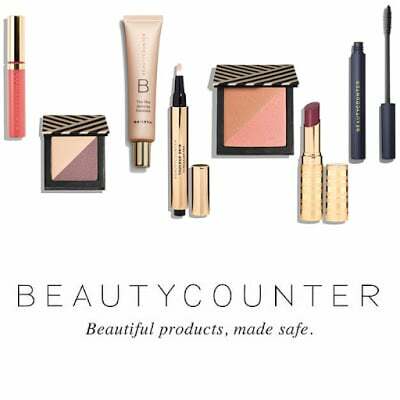 Can you believe that summer is almost half over? How did that happen? It is going by way too quickly if you ask me. This happens every year. 2 months of summer is just not enough. Not enough at all! The good thing is that I still have another two weeks of vacation booked for August, so in another two weeks I will be back at the lake enjoying some sun, sand, good books, good food and relaxation time. 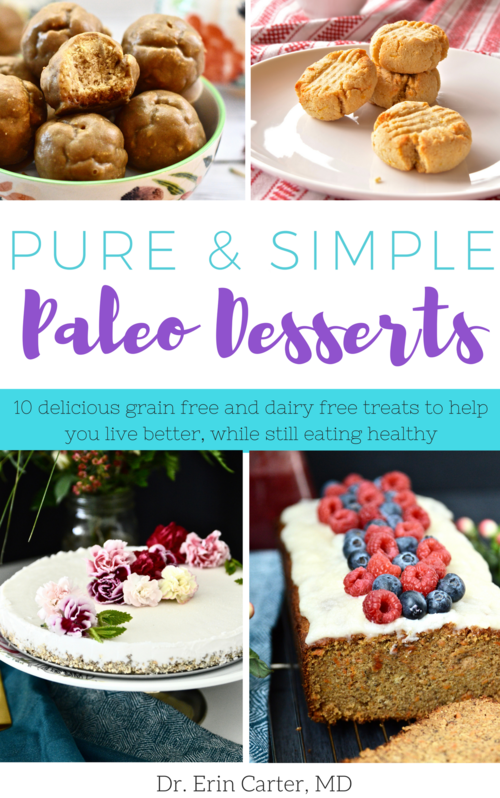 Because it’s been so hot lately I have been making ALL the paleo ice cream that I can. Because there is nothing better than a little ice cream on a hot day. Right? Especially when it’s made with healthy, real-food ingredients. 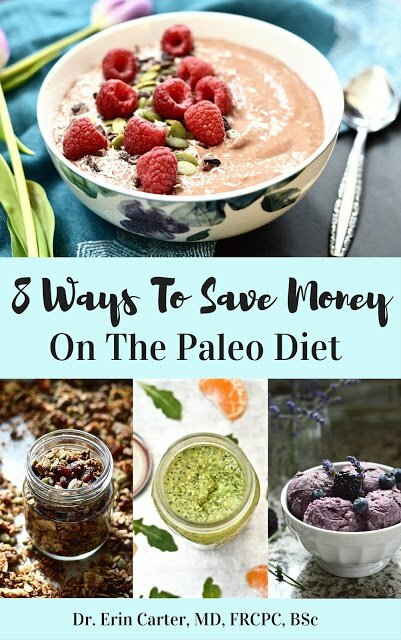 Some of my favourite paleo ice cream recipes include my Avocado Mint Chocolate Chip Ice Cream, Chocolate Ice Cream, Double Berry Coconut Ice Cream and Lavender Infused Cherry Ice Cream. 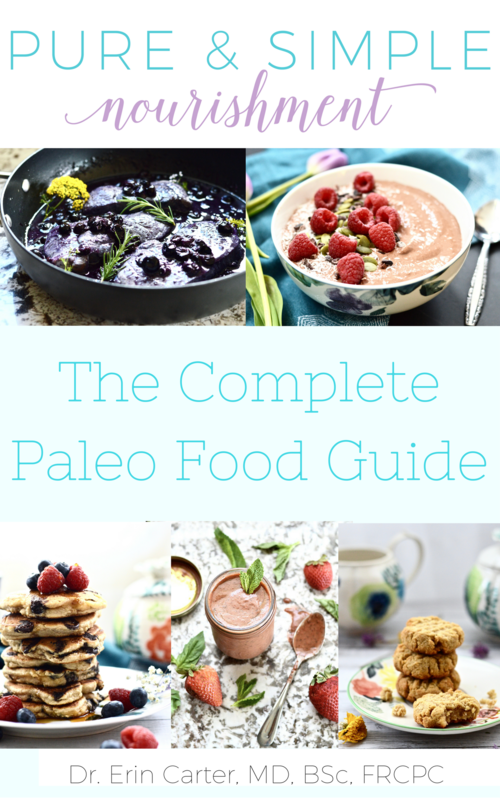 Do you have a favourite paleo ice cream? If so leave it in the comments so that I can try it! I am also working on a couple more paleo ice cream recipes for you so stay tuned for those in the near future. 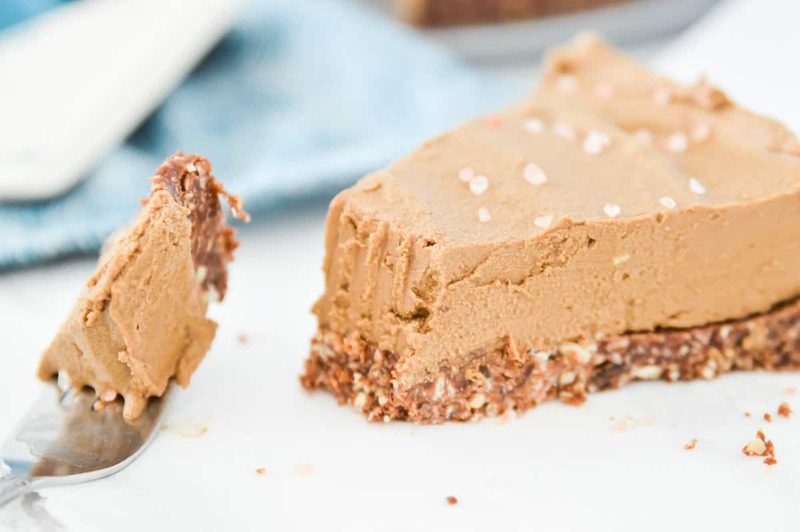 This Chocolate Avocado Torte is paleo, vegan and GAPS safe. So no matter what special diet you are following you will likely be able to eat this dessert. Because life without dessert once in a while just isn’t a fun life at all. I am all about that balance. Eating healthy in the long run is all about balance. Deprivation is not a long term strategy. Don’t let yourself feel guilty about eating a treat now and then. Make it a delicious treat and enjoy every moment of it. 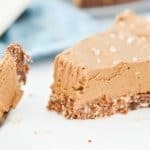 I would love to know what you think of this Chocolate Avocado Torte! If you make it please come back and leave me a comment. The more feedback that I get the easier it is for me to tailor my recipes to what you guys want. I really do appreciate each and every one of you that takes the time to make my recipes. 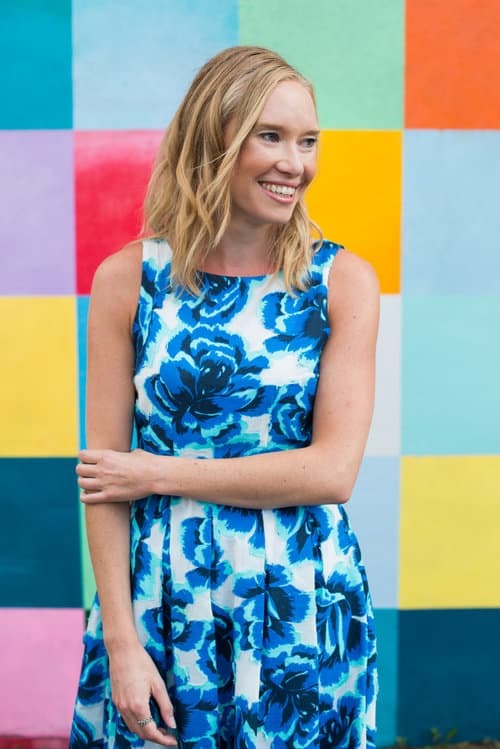 This blog would not exist if it weren’t for your support!